Show your special someone how much you truly care for them. "Randomly, I got a text message saying a star had been dedicated to me. My star was the beginning of a scavenger hunt holding a message that lead me to hot chocolate, a cashmere blanket and an incredible lookout spot with a telescope. BEST DATE EVER! :)"
My fiancé Dan has been so amazing to me the past 3 years, and so for his birthday I wanted to get him something amazing. A star named with his favorite word "Geniusus" I thought would do just the trick. When I showed my fiancé his star to him on his birthday, his eyes lit up and he was so pumped to have received a gift so epic! He talks about his star all the time and I truly felt blessed I could give him something almost as amazing as him. I'm working in Afghanistan at the moment and the ability to dedicate the star for my wife was a way to make a nice gesture and bring us closer together. 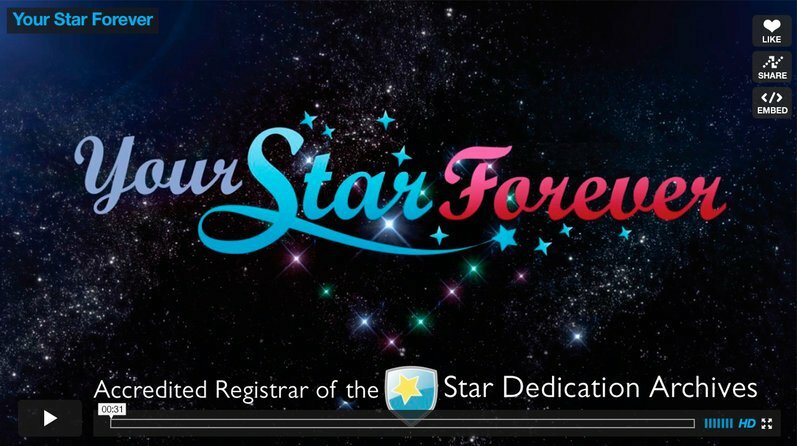 When my sister dedicated my star to me, we were in the middle of a 2 month long argument. This was the first step in resolution and brought us closer together as brother and sister. We now communicate on a daily basis and love each other more than we ever had. This would not have happened without the dedication of that star. I bought it for my young grand daughter in hopes that she will always look up at the sky and remember her "mema" long after I am gone.